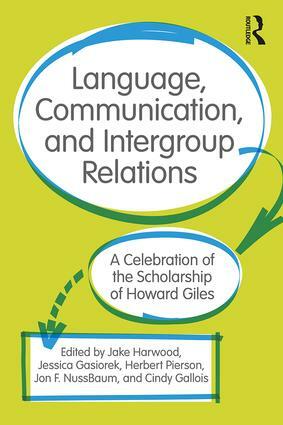 Language, Communication, and Intergroup Relations presents the current state of knowledge at the intersection of language, communication, and intergroup relations, drawing on interdisciplinary work from the fields of communication, social psychology, and sociolinguistics. Building from that existing work, it presents a series of provocative and innovative new directions in this area. Within each theme, prominent scholars present reviews of the literature, which are followed by responses, reactions, and extensions from a multidisciplinary group of researchers. These responses often move beyond typical academic prose and engage with the material in novel ways, including graphical theoretical models, short personal reflections, and creative prose. It is essential reading for students and academics in the interdisciplinary fields of communication, language, and social psychology.
. . . What About Communication Accommodation Between Genders?